Initial operations began in late February at the former USCG Loran Support Unit (LSU) in Wildwood, New Jersey. As of March 26, the company had tightened the synchronization of its transmissions to within 10 nanoseconds of Coordinated Universal Time (UTC) without the use of any propagation corrections or differential monitoring. 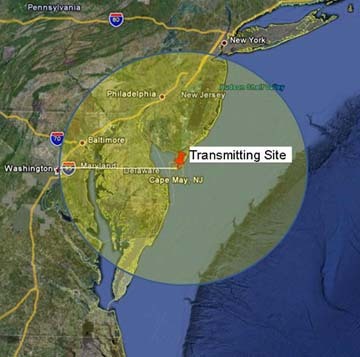 According to UrsaNav, the system has demonstrated UTC traceability to within ±30 nanoseconds at 160 miles from the transmitter and to within ±70 nanoseconds at 500 miles. Several trials have showed that the company’s receivers can quickly acquire the signals and steer within 50 nanoseconds of UTC, according to UrsaNav. The trials are not simply transmitting eLoran signals but also evaluating some improvements to the enhanced technology that do not change the underlying signal structure. 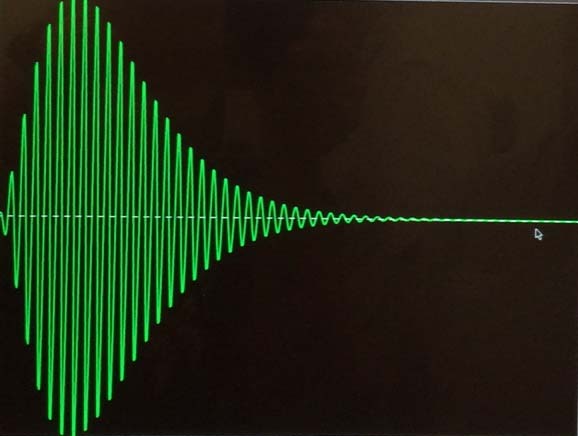 The company is also testing various LF solutions that include new waveforms and modulation techniques. UrsaNav says its main purpose for on-air testing is to demonstrate wide-area precise timing distribution using a terrestrial system. Preliminary monitoring sites have been established at five locations: Boston, Massachusetts; Chambersburg, Pennsylvania, Leesburg, Virginia; Chesapeake, Virginia; and Charleston, South Carolina. 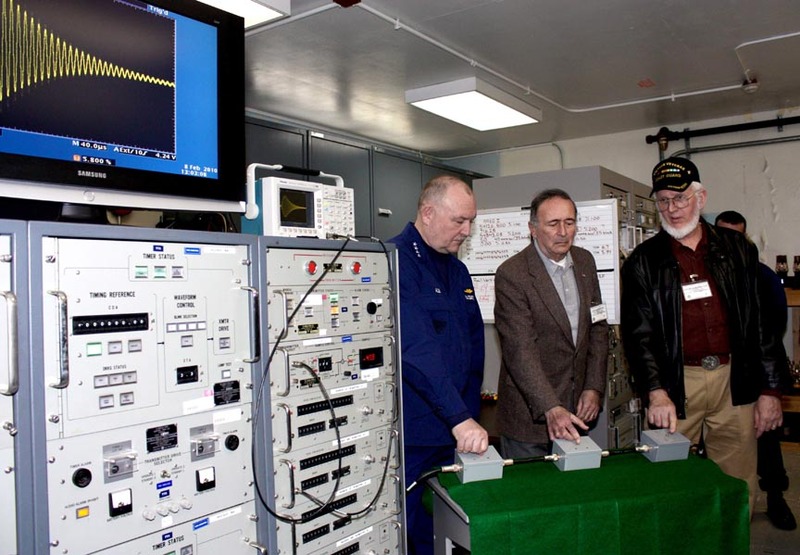 The CRADA enables UrsaNav to continue testing its advanced LF technology and use U.S. government facilities and frequency authorizations to demonstrate to what distance and to what accuracy LF signals can be used for obtaining precise time. Although eLoran was temporarily accepted as a multi-modal backup to GPS, its status became more tenuous following President Obama’s decision in 2010 to discontinue the venerable Loran system. However, UrsaNav emphasizes that the USCG currently has no current plans to establish an eLoran system or to acquire, operate, or provide wireless time technology or services. The Department of Homeland Security (DHS) is investigating precise time transfer using fiber optic networks and has asked the USCG to investigate wireless time transfer technologies as part of a national wide-area time service solution. Additional on-air tests are planned at various sites throughout the United States, according to UrsaNav. Timing solution supplier Symmetricom and Nautel, a provider of high-power RF transmitters, have partnered with UrsaNav in the tests. Symmetricom’s Timing and Frequency Equipment (TFE), which can automatically drive an eLORAN transmitter, and UrsaNav UN-150 eLoran timing receivers are being used in the trials. UrsaNav also plans to test production NL Series transmitters and the company’s new Timing and Frequency Equipment suite design, tentatively named “TFE2." The company invites researchers or organizations interested in taking part in a trial or conducting their own measurements to contact UrsaNav about the CRADA test program.